The rapid push for E15 conventional gas is a foolish plan, which will only benefit (profit) ethanol producers, while causing increased risk of gasoline-caused engine damage, water-contamination and decreased mpg for consumers. EPA website states, "As of November 7, 2011, E15 is not registered with EPA and is therefore not legal for distribution or sale as a transportation fuel...There are a number of additional factors including requirements under other federal, state, and local laws that may also affect the distribution of E15. The granting of the partial waivers (see below) is only one of several requirements for registration..."
Title: "Notice of Receipt of a Clean Air Act Waiver Application To Increase the Allowable Ethanol Content of Gasoline to 15 Percent; Request for Comment". E15 makes less sense than E10, which has already caused too many unnecessary engine damage and increased gas consumption and cost. Not all gas powered engines are designed for alcohol fuel blends. Both E10 and E15 do nothing to decrease petroleum consumption. E85 makes sense (used only in flex-fuel "green" cars). But sneaking more ethanol into conventional fuel seems unlawful. Damage caused by E15 will not be covered by engine warranties since all manufacturers allow only up to 10% (E10). When used as a gas or additive (oxygenator) ethanol is subsidized by our state and federal government. The taxpayer funded support of ethanol (subsidies, tax credits), with concommittant decrease in mpg and efficiency for ethanol blends, (without lower pricing) is just one more slap in the face to your average, strugggling American consumer. The water-absorbing properties and solvent effects of ethanol (gas contamination & engine breakdown) will once again hit the marine engine and older vehicle owners the hardest, as we've seen with with widespread distribution of E10 in recent years. *Those organizations and companies who support ethanol seem mainly driven by profit and greed; Those who are against ethanol, often base their arguments on decades of factual and reputable studies that demonstrate alcohol's negative effects to engines and gasoline stability, higher cost of gas for consumers, and unnecessary government-funded ethanol incentives and tax credits. 040614-042309: E15 Gas Approved post Petition Against E15. "If you are going to believe, know why you believe and back it up with something..."
AR-Arkansas, IA-Iowa, IL-Illinois, KS-Kansas, MN-Minnesota, NC-North Carolina, ND-North Dakota, NE-Nebraska, OH-Ohio, SD-South Dakota, and WI-Wisconsin. 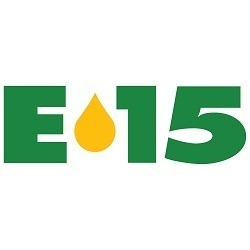 WARNING: Only a handful of engine manufacturers approve of new E15 fuel, (for use in a few 2013-14 autos only). Therefore if your engine is not a FFV, most likely E15 gas is NOT approved for use in your engines, and will invalidate your warranty. E15 is an unstable fuel type that can hold more water, has lower energy which reduces MPG, and can rapidly wear-down engine's parts. (ONLY e85 COMPATIBLE FLEX-FUEL VEHICLES ARE MANUFACTURER-APPROVED FOR USE OF NEW E15 FUEL TYPE). Background: On 10/15/10 the EPA issued a (partial) decision which approved the sale of this new gas type (E15), that will contain 15% ethanol; 50% more than allowed by all conventional engine manufacturers! After E15 approval, several class action lawsuits were filed against the EPA. Unfortunately in August 2012, a federal appeals court dismissed the lawsuit brought by oil, auto and food industries against the U.S. EPA for its approval of E15. National Petrochemical & Refiners Association, and others. The EPA ONLY approved E15, For Use in 2001 and Newer AUTOS. 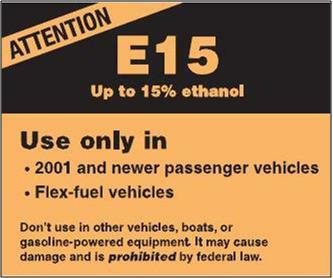 E15 is not approved for use in boats, lawn equipment, and all other specialty (non-auto) engines. In the past, many have unknowingly purchased E10 fuel type illegally over-blended above 10% --> E15, E20, E25 etc. Autos can usually tolerate more ethanol with only a drop in MPG, but most other engine types will experience a rapid increase in water absorption, leading to phase-separation and engine damage much sooner. 2013: The American Fuel & Petrochemical Manufacturers (AFPM) applauds Senators Roger Wicker (R-Miss.) and David Vitter (R-La.) for taking steps to reverse the Environmental Protection Agency’s (EPA) illegal decision to allow E15 into the fuel supply even though this fuel damages existing vehicles. The proposed legislation, if passed by Congress, will set a cap of 10 percent ethanol (E10) that is approved for use in the nation’s gasoline supply. “The fact that EPA would allow a fuel in the marketplace that it knows will threaten existing engines and refueling infrastructure is inconceivable and is a glaring example of EPA’s willingness to place politics ahead of science,” said AFPM President Charles T. Drevna. 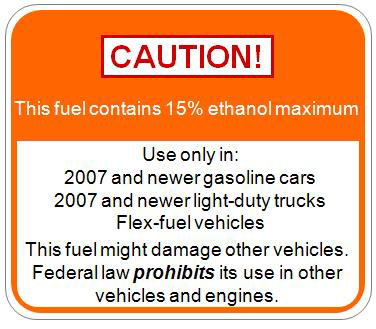 The EPA has written a complex set of conditions intended to mitigate engine damage (misfueling) from new E15 fuel type. Excerpts: "The new orange label displays 'E15' in large type and states that the fuel is for use only in 2001 or newer model-year vehicles or flex-fuel vehicles, and that it is illegal to use it in other vehicles or in power equipment such as lawnmowers. In response to the release of the labels, nine automakers-including Chrysler, General Motors, and Toyota wasted no time writing letters to Congress criticizing the proposal and noting that they will not honor warranties for older cars running on E15. The automakers say they are concerned about the effects of E15 on engines, fuel pumps, and other fuel-system components in cars that were not designed for it..."
Mercury Marine releases study October 2011 - A blend of 15 percent ethanol and gasoline caused so much damage to boat engines during a government-funded study that the testing of two of three motor types ended early. http://www.nrel.gov/docs/fy12osti/52909.pdf "High Ethanol Fuel Endurance: A Study of the Effects of Running Gasoline with 15% Ethanol Concentration in Current Production Outboard Four-Stroke Engines and Conventional Two-Stroke Outboard Marine Engines, June 16, 2010 – June 30, 2011". "Effective July 1, Iowa retailers are eligible for a three cent per gallon tax credit for every gallon of E15 sold..."
Excerpt, "The Outdoor Power Equipment Institute (OPEI) has serious concerns with a premature rush to 15 percent ethanol (E15) or other mid-level fuel blends as being suggested by pro-ethanol producers. Replacing E10 with E15 simply makes no sense. Not a single engine manufacturer currently approves of gas that contains over 10% alcohol. An increase of 5% ethanol (E15) will increase the instability of gasoline, with a much greater risk for water contamination. Water and oil don't mix -Ethanol attracts and absorbs water, causing premature phase separation of gasoline. Since ethanol is also a strong solvent (and degreaser), standard engines and petroleum equipment will experience greater wear-down of parts and useful life of engine/equipment. View engine damage list. E15 will further reduce mpg and increase gasoline cost for all consumers. The EPA has NOT yet performed testing on all gas-powered engines to determine if E15 is safe for use. Trusting a few, very limited studies completed by the ethanol producers is unacceptable! Decades of research support over 10% ethanol blends of fuel are not appropriate for most engines. Approving E15 now, in anticipation of future vehicles designed and approved to run on higher blends, will simply cause more confusion at the gas pumps. E15 only benefits ethanol producers. The U.S. needs to reconsider government sponsored "ethanol subsidies and grants" - An appropriate petroleum replacement for the long term must be able to survive the market on it's own. To meet increasing government quotas and mandates for ethanol, non-farm sources need to be ready (and cost effective) in the market. The U.S. does not have enough corn, grains and farmland to meet increasing ethanol quotas. 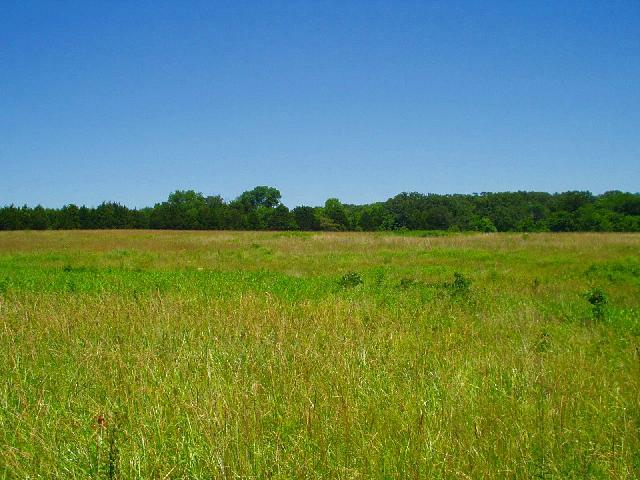 Non-farm sources include ethanol made from cellulose, garbage, grass and other stock that does not compete with food. We believe there are many other sources of alternative energy on the horizon that will surpass ethanol's usefullness. Our government tax dollars would be better spent in advancing these technologies - E.G. Hydro, wind and solar power, electric vehicles, etc. If you wish to support ethanol, E85 (85% ethanol content) used only in a FFV (Flex Fuel Vehicles) makes much more sense. 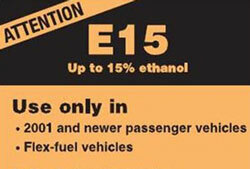 Demand Your "Choice To Buy E0 Non-Ethanol Fuel"
EPA proposed E15 gas pump labels pictured above. (E15=New fuel type that contain 50% more ethanol). Label (left) was originally proposed in 2010 - Initially E15 only approved for 2007 and newer vehicles. Label (center) approved in Summer/Fall 2011 - EPA now allowing E15 for 2001 and newer autos + "damage warning" removed. >------------->> Current E15 Gas Pump Label (Right image in use as of Sept. 2012). Notice how the ethanol promoters succeeded at getting the EPA to remove warnings/details from label, sure to lead to misfueling and unnecessary damage/expense to consumers. AFTK Complete Kit -Check percent ethanol. > Quik-Check Solution -Reveals alcohol and water in gas. Worth Quoting: "Sadly, EPA abandoned its true mission and became both the Environmental Politics Agency and the Ethanol Promotion Agency. " Charles T. Drevna, president of NPRA, the National Petrochemical & Refiners Association in Article: Is the EPA protecting you or the ethanol lobby? Delays, lawsuits, changes, restrictions, research studies documenting engine damage and more, only reinforces how foolish it was for the EPA to approve of this "new" E15 fuel type for use in conventional engines. All they've accomplished is to convince many more that ethanol in gas has become a big government-funded and subsidized scam aimed solely to profit ethanol companies and producers. With E85 (flex fuel) in the market for >10 years, there was no valid reason to introduce E15 other than to sneak more ethanol into conventional gasoline at the expense of all engine owners. Engine manufacturers do NOT approve/warranty E15 fuel use, and it's certain many will "misfuel" especially when enticed by a lower price/gallon. View and Sign Fuel Choice Petition NOW! Reclaim your right to choose ethanol-free pure gasoline. The EPA and ethanol industry needs your input. View Petitioner Comments Who needs or wants E0 pure gas?